.:. 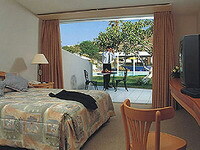 : Visitchile.cl - Hotels in Arica - Chile :.:. |home |Tours Packages |Flight |Hotels |Cruises |ski |Terms conditions |Contact Us |Who are we? 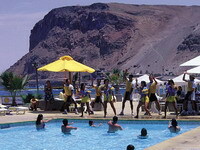 Panamericana Hotel Arica, the spectacular international Resort by the beach is located in the northern city of Arica; in Chile’s big north. Visitors are welcomed by the warm hospitality of the city of eternal spring. There Suites, Superior and Standard. Belong to Panamericana Hotels, is a chain of 7 hotels offering excellent service at an international caliber with an extensive presence for over 63 years in the domestic market, making us very competitive among Chilean hotels. 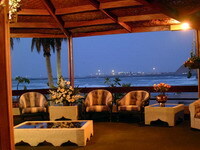 At the heart of Chinchorro beach just meters from the sea is located the Diego de Almagro Arica Hotel, minutes from downtown, and major tourist attractions. It features spacious and modern rooms with excellent ocean views and the city of Arica, stands out for its elegant decor, in addition to high quality and safety standards both passengers and their workers. 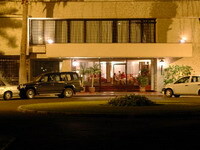 Is a 3 star hotel, located next to Aricas Casino and the University of Tarapacá; only a few blocks away from the citys downtown area and its beautiful beaches; only 15 minutes away from the airport. 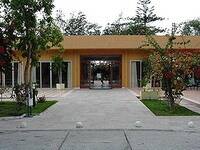 The Hotel owns three hectares of Natural Park, filled with native species such as palm trees,hibiscus and bouganvillea, deal for nature lovers who seek adventure, entertainment and relaxation.